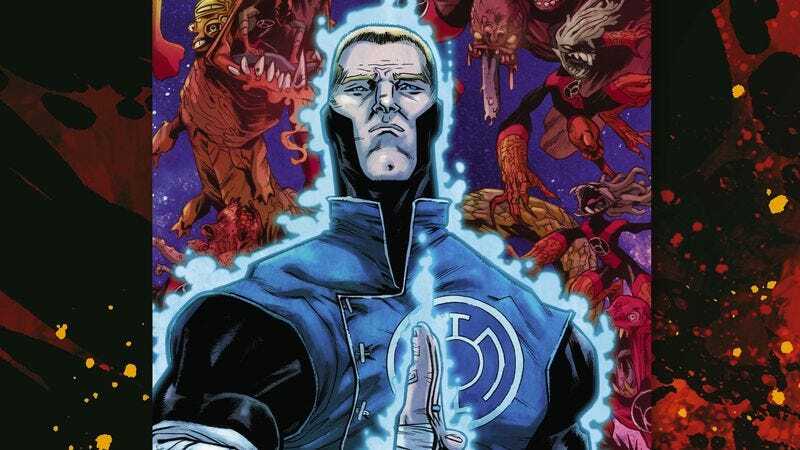 Charles Soule has done exceptional work turning Red Lanterns into one of DC’s most entertaining titles, imagining the team of rage-fueled villains as an intergalactic biker gang led by former Green Lantern Guy Gardner. That strong direction reinvigorated the title, and adding Gardner to the cast gave Soule the opportunity to explore the book’s major theme of learning to control anger through a fan-favorite hothead character. Combining over-the-top cosmic action with character development and humor has made Red Lanterns DC’s most captivating Lantern-related title, but the team’s future is uncertain. The recently concluded “Atrocities” story has left the gang broken in the present-day DCU, and a recently announced Marvel exclusive contract for Soule means he will be leaving both Red Lanterns and Swamp Thing in 2015. Soule’s story for Swamp Thing’s “Futures End” issue was one of the highlights of the event month, and this preview of next week’s Red Lanterns: Futures End #1 maintains the energy of a regular issue of the series while introducing a surprising new status quo for its lead hero five years in the future. Featuring vibrant, dynamic art from J. Calafiore and colorist Gabe Eltaeb, this issue sees Gardner trading in his red ring of anger for a blue ring of hope, taking a pacifist approach to problem-solving while his teammate Bleez rages on. It’s a twist that allows Soule to explore the contrast between the violent Red Lanterns and zen Blue Lanterns, and the mystery of how Gardner transitions from one to another should provide plenty of momentum to keep this story moving at the brisk pace that has made Red Lanterns such an exhilarating superhero title.